We could not be more delighted! It has exceeded our expectations by far. Your attention to detail is astonishing and we could not believe how hard you worked in somewhat adverse weather conditions! 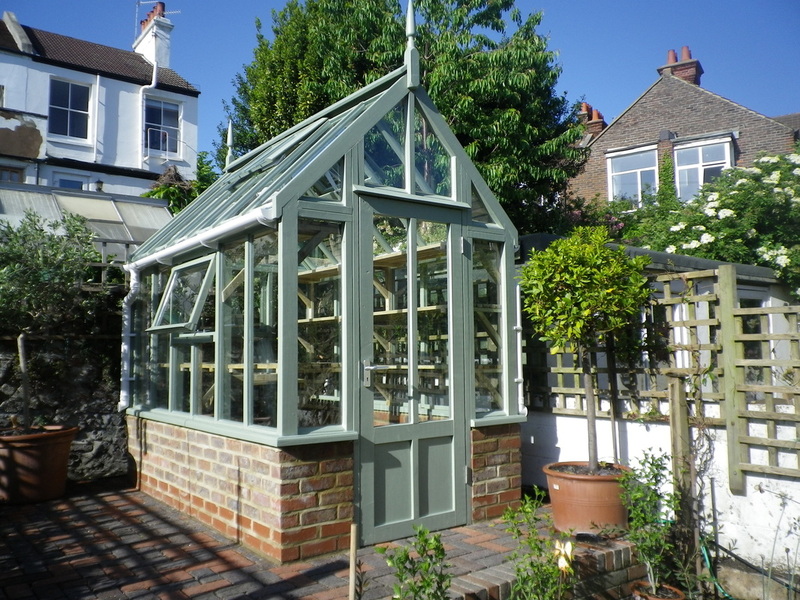 The end result perfectly enhances this old house and matches the style, we believe, of the original lean-to which had to be demolished many years ago. We enjoyed your company immensely and we're so glad we found you! 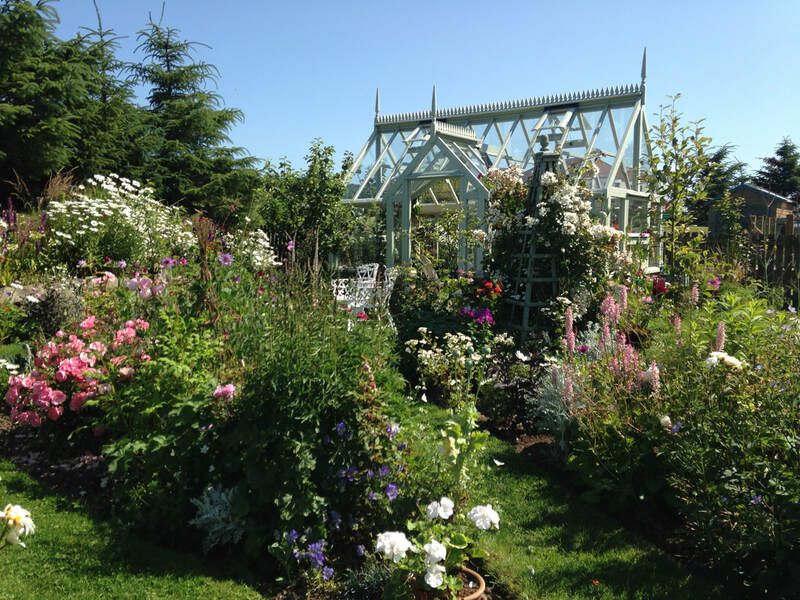 Come back to see us when all is in full bloom and we'll admire your craftsmanship together! Best wishes, Sue. ​Have just visited my sister Mrs Sue Walters in Lockerbie. 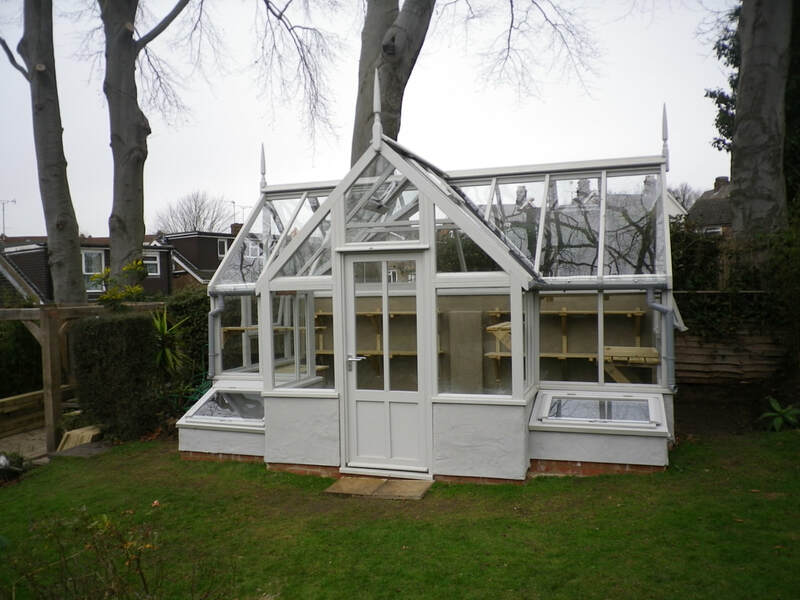 What a brilliant job you have done with the greenhouse. Absolutely perfect! Well done! Belated note to say thank you for sending the final documentation - we have left a review on the Guild of Craftsman website. 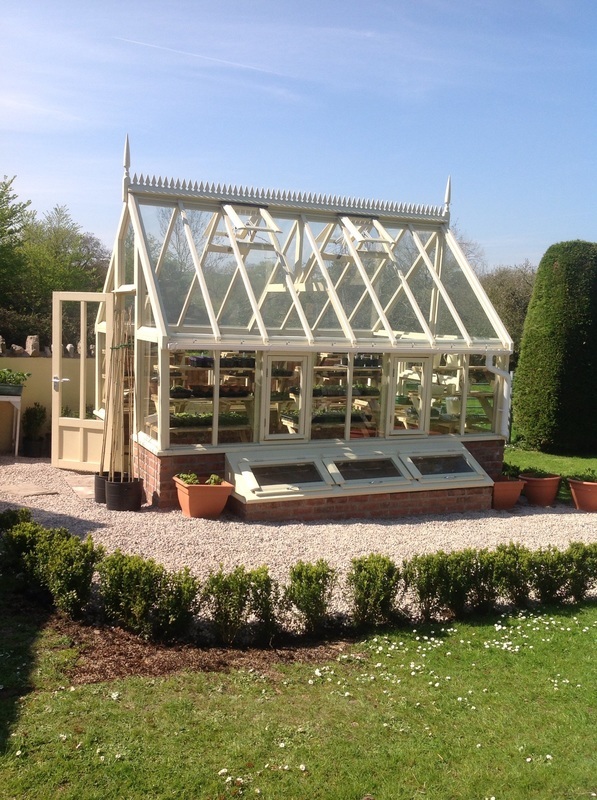 The greenhouse has been much admired - we just need to finish the rest of the garden to the same standard! Glad to see your move has come off and you're going to have lots of space. 15/8/2018 09:17:03 amShould any prospective customers worry about hiccups on a build, rest assured that NOTHING stops Robin! He starts early, finishes late and is a really meticulous professional. Repeatedly running the length of the garden with a loaded barrow to push the job along did seem a bit excessive though. Can’t apologise enough for Neo’s Intervention when he saw Robin running in the garden, went bonkers, jumped up and nipped him on the leg. 來 “A mere flesh wound” responded Robin. Then cracked on. Neo watched from the closed patio doors from then on. Sorry. Again. Thoroughly enjoyed our chats while rendering some doubtless mildly incompetent ‘assistance’ from time to time so I can justify saying I was involved in the build. 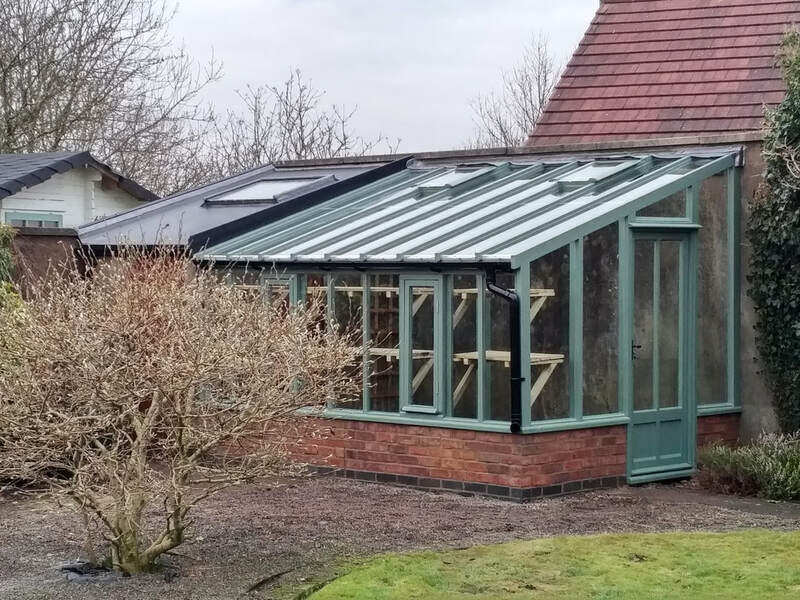 ​Some months on from the completion of my greenhouse and I can say that I am totally chuffed! 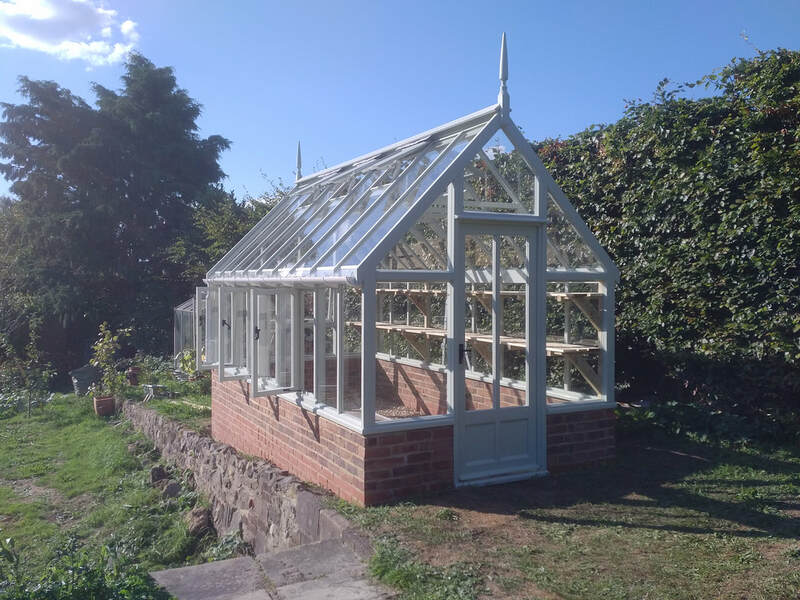 Thought you might like to see how wonderful the greenhouse looks now. It is as though it has been there forever. 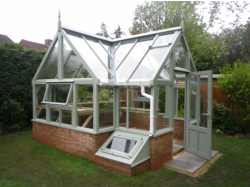 Great to hear about all your new developments and if everyone loves their greenhouse as much as we do you will bring joy to many. 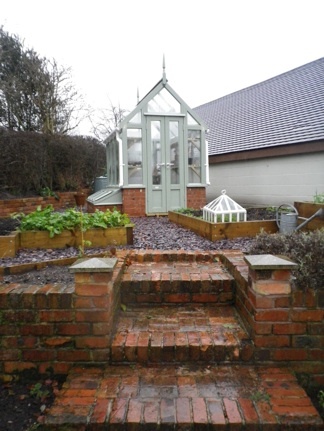 Another wee snap with the greenhouse subtly setting the scene this time . 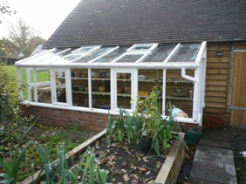 Garden needed the greenhouse focal point ... plants thriving on David's brother's farm manure and the additional shelter and warmth from the greenhouse. 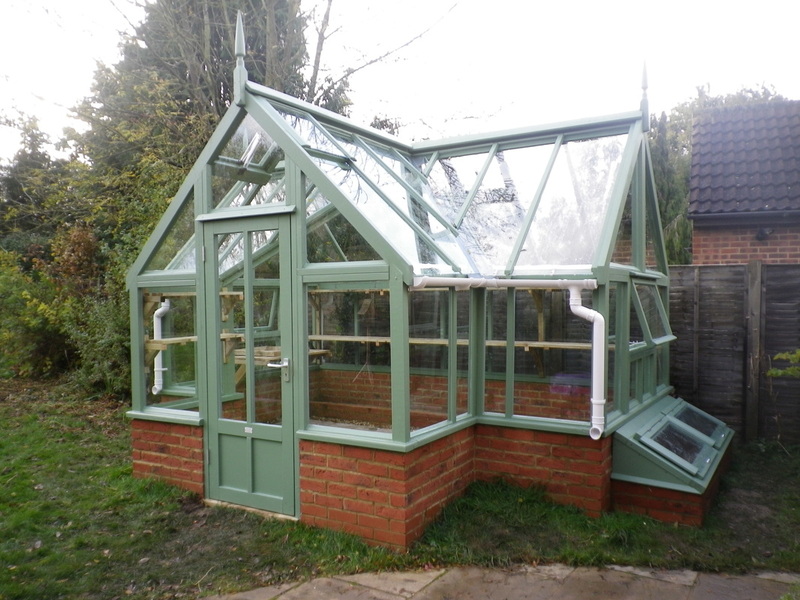 Robin Mc Gregor builds exactly what you desire to your requirements. 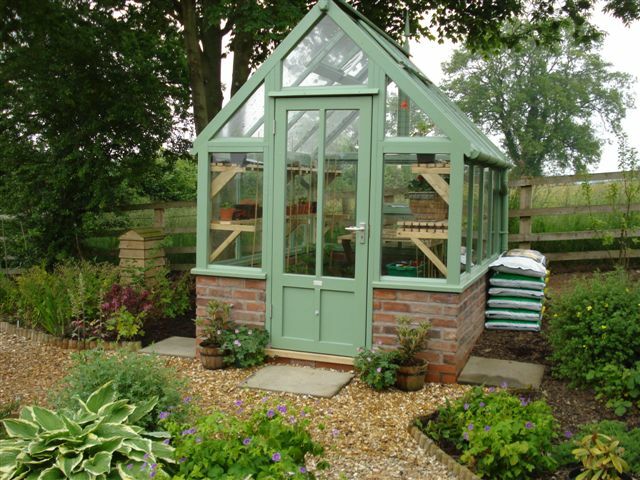 A well constructed greenhouse, good materials, great finish, I cannot find fault with the quality of his work. You will not find better. Sorry this card is a little overdue! No prizes for guessing where I’ve been! We are absolutely loving the greenhouse or, as I call it, my favourite place! It has exceeded all of our expectations it really has. I’ve wasted no time in moving the plants in as well as the furniture! It’s a joy to be in there and we really do appreciate it after all the hard work you put into it. I hope you’ll have some time to do yours and enjoy it as much, you really deserve it. 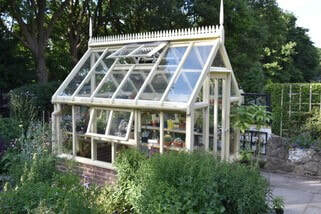 The blue plaque is on order and I’ll send you a photo when we’ve put it on:- “Mr McGregor’s greenhouse”. It’ll look great! I have just seen the new video! Absolutely love it. You’ve done it brilliantly, capitured it perfectly! Especially the rain!! Music – fantastic too! I’ve not heard Belle & Sabastian for years now, it’s real music, love it. I know it takes a long time to put all these things together so we really are grateful to be able to watch it (over and over!). I hope you’ve had a good couple of weeks and that the Shropshire one went well. Also you said it was your son’s 13th Birthday so I hope you had a long rest and a lovely Birthday weekend after leaving here. Apologies to Jo for us keeping you an extra day – twice! Ironically we’ve had sunshine since – typical eh. Anyway, take care, Thanks again, love Paul and Hayley. Please click here to read feedback from past customers in my blog page. 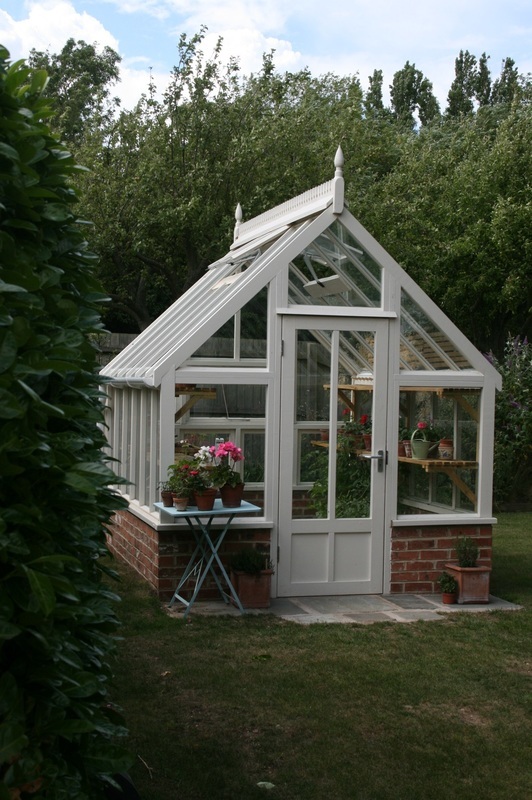 Since returning from holiday I have spent many hours enjoying my super new greenhouse. 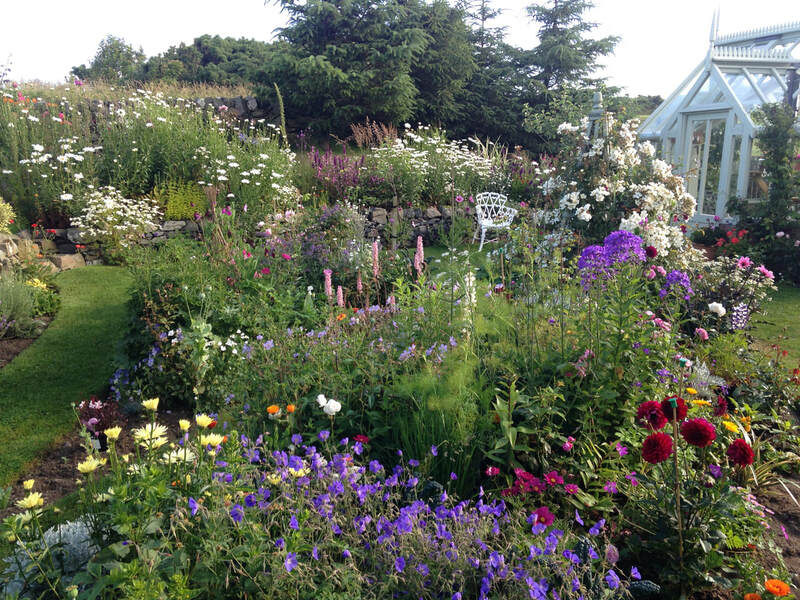 It is now full of plants, vegetables and flowers all thriving in their perfect environment. I thought you might like to see a recent photo which I have attached. 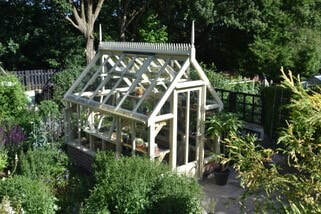 I built Miriam's first greenhouse in October 2012. 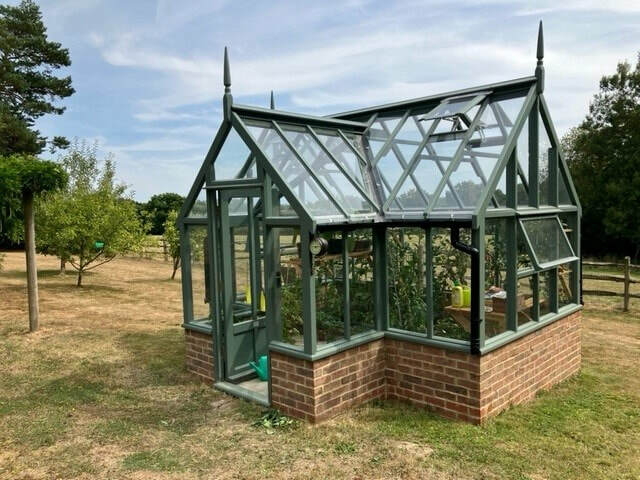 Many thanks for everything - we're going to have a wonderful time in the greenhouse, and I don't believe we could have found a design or build anywhere that would have suited our cottage and garden better. So glad we spotted your website when we did. Just thought I'd send you an updated photo of the greenhouse, not had as much time as I'd like in there, but already have loads of geraniums, cucumbers, tomatoes on the go and even aubergines and peppers coming on! Feel free to use it if you want, and Interflora have already been using it as a backdrop for next years summer shots...knew they would! Hope you are all well and keeping busy...if all your customers are as pleased as I am you'll go far! 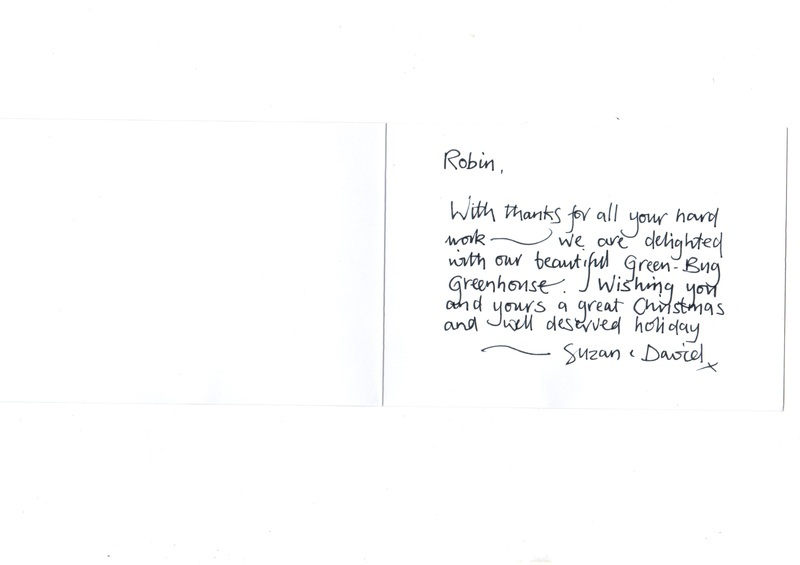 Hi Robin - we have been busy stocking up the 'green' house. Everything is working perfectly and we had a champagne opening celebration with friends over the weekend! (they are all very envious!!). The utube films are really good - love the music selections. Thanks again Robin for your attention to detail and for a really great addition to our new home. Pop in any time you are in the area for a bacon butty! regards Christine and Martin. It really is a work of art……more beautiful than I had envisaged! The attention to detail is superb. Half the village have been up to view it….I wouldn’t be surprised if you were down this way again, building another for our neighbours!